They remain in one position e.g. software engineer or senior software engineer for years and stop moving up in their career, which means less pay and no growth. Since, no one else but you, yourself is in charge of your career, you need to come out of your comfort zone and try to move up on the ladder. Remember, if you don't move forward, eventually, you will start moving backward or left behind. 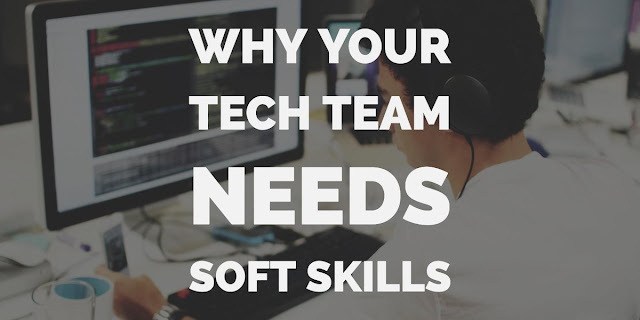 One of the challenges programmer faces is about learning soft skills. They recognize that they need to improve their soft skill but they are not sure how to do that? Since not every programmer can learn by seeing their peers and managers without external help, it becomes very important to select a good book or course to master soft skills. 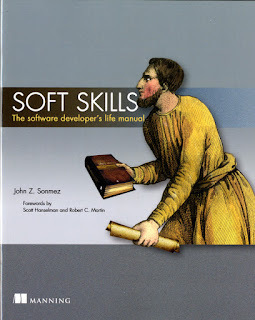 Thankfully, there are a couple of good books and courses available for career development and soft skills, particularly form John Sonmez, which have helped millions of developers to come out of their shell and progress in their career. In this article, I am going to share some of the books and online courses, which has helped me and I like to read regularly to improve soft skills. Here is my collection of some of the best books to improve your Soft skills and Career Development. As the tagline of the book says "Technical Knowledge Alone Isn't Enough - Increase Your Income by Leveling Up Your Soft Skills", it's really true and you know if you have more than 3 to 4 years working experience in Software development world. As John invested in these skills his career took off, and he became a highly paid, highly sought-after developer and consultant. In it, developer and life coach John Sonmez addresses a wide range of important "soft" topics, from career and productivity to personal finance and investing, and even fitness and relationships, all from a developer-centric viewpoint. There are some annoying things about this book: too many links to the author's block; orientation to the author's way of working on; sometimes hardly constructed memories and thoughts. But apart from all those above it is extremely helpful and encouraging book about the fundamental principles for a software developer career. It gives you not only thoughts, but instructions and routines to follow. In short, a must read books for every coder, programmer, software developer, and tech geeks. This is another great book I read recently on soft skill for computer programmers. The best thing about this book is that it teaches you things which matter most. Everybody talks about writing clean code but nobody talks about writing good emails, this book does. It teaches you how to write emails that people want to read and act. It also teaches you how to deal with people and politics, which is very important because its people who are our managers and clients and in charge of our career and job. The full title of the book is "Confessions of a Software Techie: The Surprising Truth about Things that Really Matter". This is not just the career development or soft skill book but much more than that. As the title suggests, it teaches you how to become a pragramtic programmer, who cannot just code but test, coordinate, release, debug, manage and support. The full title of the book is "The Pragmatic Programmer: From Journeyman to Master 1st Edition by Andrew Hunt (Author), David Thomas (Author)"
Success in today's IT environment requires you to view your career as a business endeavor. In this book, you'll learn how to become an entrepreneur, driving your career in the direction of your choosing. You'll learn how to build your software development career step by step, following the same path that you would follow if you were building, marketing, and selling a product. After all, your skills themselves are a product. 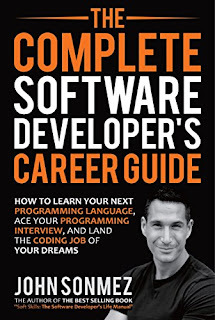 In short, a great book for programmers and software who care about their careers, which teaches you how you can set the direction of your career, leading to a more fulfilling and remarkable professional life. That's all about some of the best books to learn career development and soft skills for programmers. It's one area which is often gets neglected by the programmer and because of those many quality programmers stuck in the same position for years. These books teach you all soft skills needed to survive and excel and software developer. It helps you to climb the ladder of career advancement and make you more valuable by encouraging you to learn about business, leadership, and management apart from coding. Thanks a lot for reading this article so far, if you like these books then please share with your friends and colleagues. If you have any feedback or questions then please drop a note. Thanks for sharing. We have thought from this perspective. Anyway How do you manage time and stay motivated to read so many books? Hello Saurabh, I read so many books mostly while travelling or commuting. That's the best use of that time. Thank you Kavitha, glad you find these books helpful.